In my last post I already mentioned how much I like working with natural materials. That doesn’t only apply to my crochet creatures, but to pretty much all of my creative ventures. Be it decorations for the house, gifts or things that just come in handy, I always think it is best to look to nature to provide us with materials, as they will last, are sustainable and usually have a unique beauty. I have been sick at home for a few days now, which gave me some time to work on new projects and finish old ones (though my pile of WIPs is still considerable..), and make some more stock for my shop. Husky Kami is easily my most popular troll at this point, and what’s not to love? 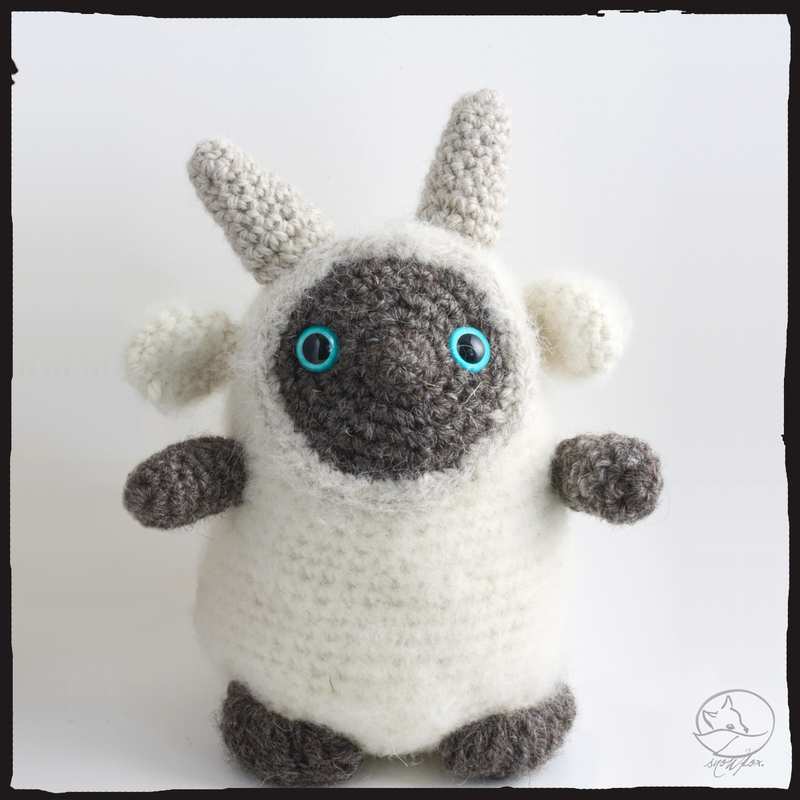 He’s made from organic sheep’s wool (Bluefaced Leicester to be precise) which is wonderfully soft to the touch and fluffy up nicely when brushed. When I first came up with the trolls I thought of forest creatures, subdued hues, nothing too bright. What a surprise it was when this one just wasn’t having it. He was cute with brown eyes, but something was missing. I handpaint all my doll eyes, so usually have a variety of colours lying around somewhere, and I thought: Why not.. And that’s how he became what he is today. Husky Kami is so cute!